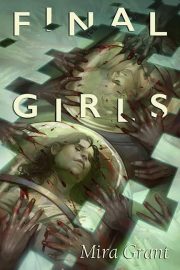 Mira Grant’s 2017 Final Girls is an upcoming standalone work. Jennifer Webb has invented a new virtual-reality-based therapy and opened an institute to test and develop it. Seeking publicity and credibility, she offers Esther Hoffman, an investigative journalist, a chance to visit the institute and report on the new tech. This would seem to have been a bad choice. Hoffman is a professional debunker with a strong personal grudge against pseudoscience therapies. But it is that very grudge that makes Hoffman a credible reporter. If Webb can convince Hoffman that the therapy has merit, Webb can convince everyone else. The question that kickstarts many good plots: what could possibly go wrong?